This week's review turned out to have a peace, conflict & gender focus, featuring new research on local accountability, violence & disability, results-orientation in peacebuilding, Quaker history & memory, all-male (peace) conferences and a great blog on Zimbabwe. But make sure to leave room for a brilliant 'Letter to a Social Entrepreneur' and more reflections on the end of 'educational cartels'. And for the very brave there's even a 15 minute interview with Aidnography on development HR, generational shifts & the risk of medicalizing humanitarian work risks. This volume is a collection of articles published in the journal Critique of Anthropology between 1975 and 1991. 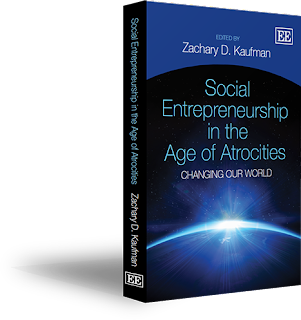 Its purpose is to illustrate key trends in what is sometimes referred to as “critical anthropology”, a non-dogmatic Marxist turn within anthropology that has strongly shaped the field. [...] Because many of the articles have long been out of print and inaccessible in its original form, this book is a teaching resource, and, for future generations of scholars, a compendium if original arguments that are of continued relevance to the evolution of the discipline (p.7). 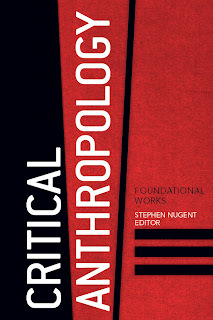 Stephen Nugent, the editor of the Critical Anthropology. Foundational Works collection and an editor of the journal Critique of Anthropology, manages to capture the purpose and value of the collection very well right on the first page.